Bas Diederen is a Master of Science in Human Movement Sciences who has spent more than 2 decades and counting competing at the highest level in triathlon. He is available on a limited basis for coaching committed athletes. You must be willing to alter your behaviors and actions in order te get the results as an athlete you desire. Commitment as defined here is prerequisite to work with Bas. Bas Diederen is a Master of Science in Human Movement Sciences who has spent more than 2 decades and counting competing at the highest level in triathlon. Swimming competitively he won 32 national championship junior races. He switched to triathlon in the early 2000 winning 9 National Titles at the Olympic and 70.3 Distance. 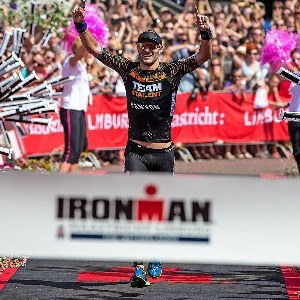 After multiple podium finishes at Ironman events around the World (including a 3rd place at Ironman Frankfurt) he won his first Ironman in Maastricht. Bas coaches athletes at all levels, believing that everyone should enjoy and commit to the proces of reaching their own personal highest level. Success. Coach Bas Diederen has been notified of your message.